SMW Series 1 – MoonFigures Collection, Art, and Reviews! 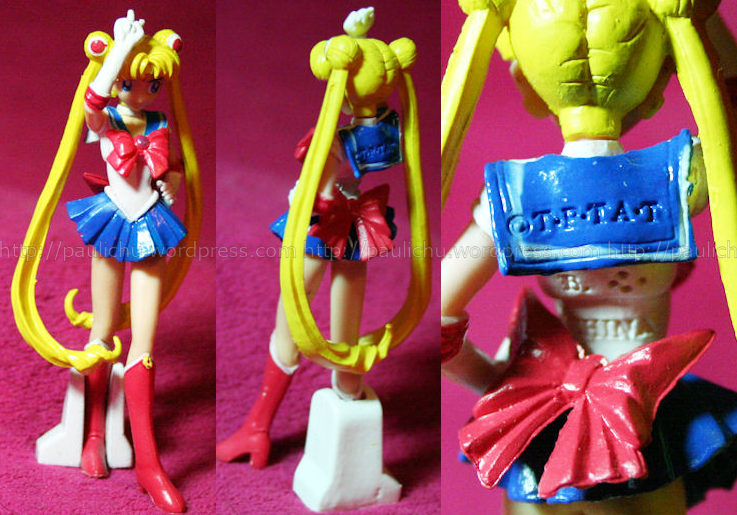 This is the first in the Sailor Moon World gashapon series. 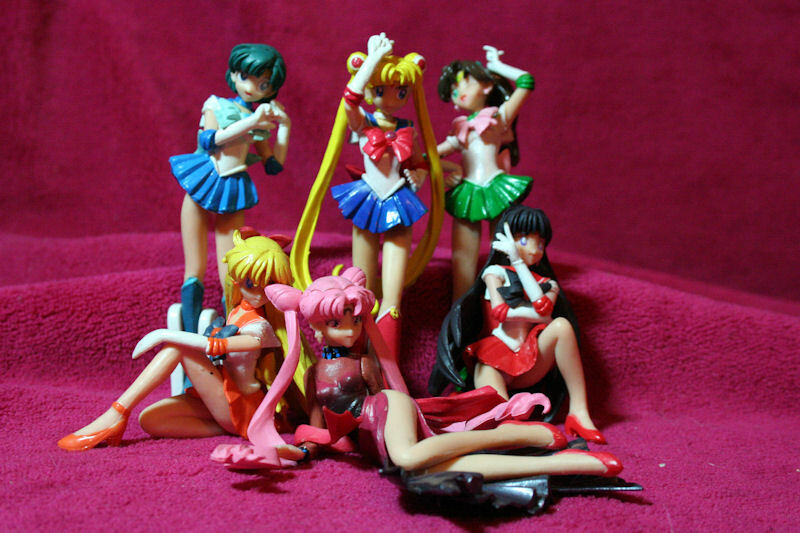 It consists of 6 figures featuring Sailor Moon, Sailor Mercury, Sailor Mars, Sailor Jupiter, Sailor Venus, and Wicked Lady. 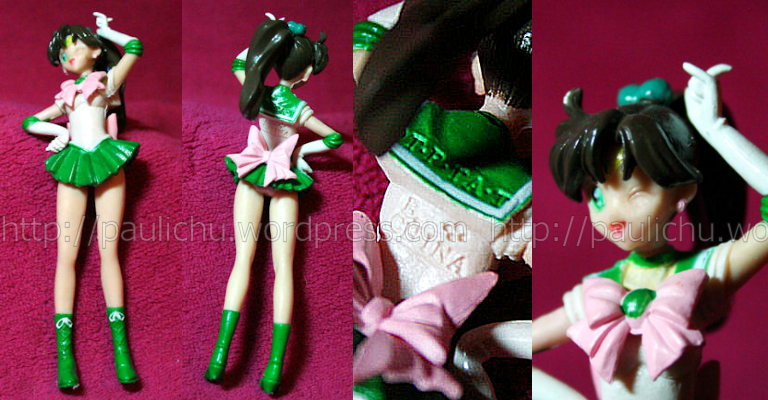 The best way to tell whether your figurine is a bootleg is to check the paint, and the over all quality of it. In most bootlegs you’ll typically find that they’re warped in a way that keeps them from standing properly, or disfigures their limbs. The paint on my set is rather shiny, while you’ll find in the official figure shown here that the paint should almost be matte. 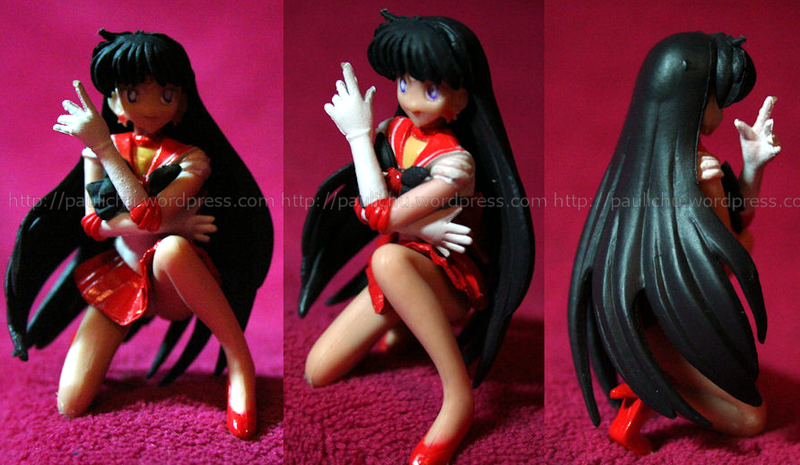 You should also notice that the choker on Sailor Moon is painted white, rather than red. Please be warned that if you own these figurines and believe that they are official because your copyright information is correct you may be wrong! There have been reports of the copyright information on these figures being correct, especially on the key chained versions of these.